The CROSSLEY is a hike and travel shirt designed particularly for summer use. It’s made of breathable, easy care polyester, which it pleasant to wear even on hotter days. While ventilation openings at the back allow additional air to circulate. 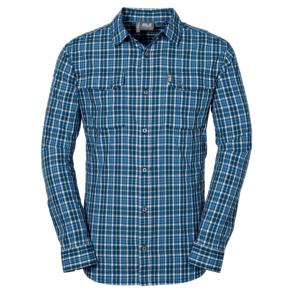 Its intelligent design makes the CROSSLEY a go-to summer shirt for travel and hiking shirt. CHECK Q.M.C. : checked fabric with active moisture management. Mesh lining with active moisture management. 2 chest pockets. Vent Support System: air vents on back.